The theory of serial endosymbiosis states that eukaryotic cells, of which plants and animals are composed, evolved from the symbiosis of smaller aerobic and autotrophic prokaryotic cells (bacteria) living within larger prokaryotic cells. Unlike plant and animal cells, prokaryotic cells contain no membrane bound organelles or an organized nucleus. Based on this theory, organelles such as the mitochondria in modern eukaryotic cells would be the evolutionary descendents of the aerobic prokaryotic cells engulfed by the larger prokaryotes. Mitochondria have a few minor characteristics that are similar to bacteria, such as their size, lack of introns in the mitochondrial genome, and a bi-layer cell covering that have been used to support the theory of serial endosymbiosis. However, there are also significant differences that make the transition of a bacterium into a eukaryotic mitochondrion impossible. Mitochondria and bacteria both have ribosomes, made of protein and ribonucleic acid (RNA), to catalyze the synthesis of proteins. When the theory of serial endosymbiosis was first proposed, it was assumed that ribosomes occurred in only two forms: a smaller 70S variety found in prokaryotes and a larger 80S ribosome found in the cytosol of plant and animal cells (eukaryotes). According to the theory of serial endosymbiosis, the ribosomes present in mammalian mitochondria were expected to resemble the prokaryote 70S ribosome. However, the structure of mammalian mitochondrial ribosomes and their RNA and amino acid sequences indicate that mammalian mitochondrial ribosomes are completely different from prokaryotic ribosomes. The evolution of mammalian ribosomes from prokaryotes requires major mutation and selection events to change a prokaryote-like ribosome into the mammalian mitochondrial ribosomes observed today. However, computer simulations with yeast and human genomes have shown that natural selection is unable to create new beneficial structures from random mutational events. Experiments introducing minor changes in the RNA and protein sequences of ribosomes have also demonstrated that these changes are deleterious and lead to decreased fitness. It is apparent from the knowledge gained about mitochondria ribosome structure and function since the proposal of the Serial Endosymbiosis Theory that prokaryotes are not the ancestors of eukaryote or mammalian mitochondria. Many people assume that “primitive” organisms are made of cells with fewer metabolic pathways, less organization, and smaller genomes than more “advanced” organisms. According to evolutionary theory, “primitive” one-celled organisms called prokaryotes (“first genome” or “before nucleus”) were the first cells to appear on Earth. The addition of metabolic pathways and larger genomes would eventually lead to the evolution of prokaryotes into more advanced cell-types and multicellular organisms. “Advanced” organisms, called eukaryotes (“modern genome or nucleus”), are made of cells with more metabolic pathways, more organization, and larger genomes. Many eukaryote metabolic pathways and genomes are localized in compartments within cells to facilitate the increase in metabolic reactions necessary to maintain more complex systems. Compartmentalization, present in the form of membrane bound organelles, is one of the distinguishing characteristics that separate eukaryotes from prokaryotes. Typical prokaryotes, like bacteria, are single-celled organisms lacking compartmentalization for many metabolic reactions. Plants (including algae), fungi, and animals have cells with many organelles including a nucleus, mitochondria, and chloroplasts (plants) that sequester reactions enabling more diverse cell-types and functions. Because eukaryotes generally have more metabolic pathways and larger genomes, it is assumed that eukaryote cells evolved from the less complex prokaryotes. The leading hypothesis explaining the evolution of eukaryote cells from prokaryote cells is the Endosymbiotic Theory or Serial Endosymbiotic Theory (SET) popularized by Lynn Margulis (Margulis 1970). SET proposes that eukaryote cells evolved from a symbiotic community of smaller prokaryotes living within larger prokaryote cells. A simple scenario for SET suggests a series of events beginning with the prokaryote plasma membrane folding inward, eventually evolving into the endomembranous system characteristic of the eukaryote endoplasmic reticulum and Golgi apparatus. Smaller aerobic prokaryote cells were engulfed by larger prokaryotes with the smaller prokaryotes eventually evolving into mitochondria. Chloroplasts originated when symbiosis between small autotrophic bacteria and larger prokaryotes resulted in the incorporation of the smaller autotrophic prokaryote into the biological system of the larger prokaryote (Campbell and Reece 2005). The α-proteobacteria, such as Paracoccus, Rickettsia, and Bartonella species, are assumed to be similar to the ancestral prokaryotes that gave rise to mitochondria based on ribosomal RNA sequence comparisons (Andersson et al. 1998; Kurland and Andersson 2000; Margulis 1970; Suzuki et al. 2001b; Yang et al. 1985). These comparisons are also based on the assumption that a prokaryote ancestor of mitochondria transferred many of its genes to the host genome resulting in mitochondria with small genomes while the evolved eukaryote nucleus possessed nearly all the genes for mitochondria structure and function. This hypothesis is not without problems though. The human and bovine mitochondrial genomes have just 37 genes, including 13 protein coding genes, 22 tRNA genes, and two rRNA genes. This configuration of genes is also present in all other known mitochondrial genomes of vertebrates. Not only do vertebrates have the same genes, the order of genes is identical in all species with the exception of a few species that have the order of just a couple of transfer RNA genes reversed (Macey et al. 1997; Mindell, Sorenson, and Dimcheff 1998). The content and order of genes is a strong indication of stasis with no transfer of mitochondrial genes to the nucleus in vertebrate species. In an evolutionary scenario this would represent approximately 400 million years of stasis. The genes for vertebrate mitochondria ribosome proteins are located in the nucleus as are several hundred other genes including those for oxidative phosphorylation and mitochondria architecture. In addition, mitochondria ribosome genes are scattered among the chromosomes of sequenced genomes such as humans and Bos taurus, and have introns characteristic of eukaryote genomes. Escherichia coli, a typical prokaryote, has many ribosomal protein genes clustered on the chromosome, and of course being prokaryote, these genes lack introns characteristic of the mitoribosome genes in humans and bovines. Rickettsia prowazekii, a typical α-proteobacterium suggested as a type of mitochondrial ancestor, has 834 known protein-coding genes (Andersson et al. 1998), which is more than 20 times the size of the vertebrate mitochondrial genome and more than 12 times the size of the mitochondrial genome in the protozoan Reclinomonas americana (67 genes), which possesses the largest known eukaryote mitochondrial genome. Certainly, if SET is valid, all gene transfers had to occur before the radiation of vertebrates and likely before the radiation of one-celled eukaryotes. Rickettsia prowazekii is commonly given as a representative of the type of prokaryote that could have been an ancestor of the eukaryote mitochondria. Rickettsia prowazekii has one of the smallest genomes and several genes are organized similar to the mitochondrial genome in Reclinomonas americana, believed to represent one of the first eukaryote cell types (Andersson et al. 1998). Reclinomonas americana mitochondria have the most protein coding genes (67) of any known eukaryote mitochondrial DNA, including 49 orthologous protein-coding genes that are found in sequenced mitochondrial genomes of other eukaryotes (Gray, Burger, and Lang 1999; Gray et al. 1998). Other sources of support for SET include the observation of many endosymbiotic organisms extant today, the similar structure of mitochondria and chloroplasts to bacteria (Margulis 1993; Zablen et al. 1975), sequence comparisons between DNA in eukaryote organelles and prokaryotes (Yang et al. 1985), and cytochrome c comparisons (Dickerson 1980). There are many examples of endosymbiosis observed between extant organisms. Lichens are made of both fungi and algal cells, invertebrates frequently carry different types of algae, and bioluminescent bacteria can be found in the cells of fish, cephalopods, and mollusks to name a few of the many examples given by Margulis (Margulis 1993). Serial endosymbiosis should not be confused with the endosymbiosis observed between many different kinds of organisms. SET proposes that symbiotic relationships between organisms observed in nature reflects a similar starting process for the evolution of eukaryote cells. SET gained further support as a portion of eukaryote mitochondrion structure became better understood revealing many similarities with bacteria outlined in another book by Margulis (Margulis 1993). These similarities include a similar size for mitochondria and many bacteria (<10 µm), a twolayered cell or organelle covering, and a circular plasmid-like strand of DNA lacking introns. The theory became more popular when it was discovered that horizontal or lateral gene transfer might occur between mitochondria and the nucleus, and does occur between chloroplasts and the nucleus of individual plant cells (Adams, Ong, and Palmer 2001; Chacinska and Rehling 2004; Covello and Gray 1992). This provided a putative explanation for how many genes encoding eukaryote mitochondrial and chloroplast proteins are located in the nucleus instead of their respective organelles and how the genomes of these organelles became considerably smaller than their ancestral prokaryote counterparts (Adams and Palmer 2003). In spite of the documented similarities existing between eubacteria and eukaryote mitochondria and chloroplasts, many problems remain unsolved in reconciling SET with the current knowledge of the biological systems of eukaryote and prokaryote organisms. With the increasing knowledge gained from sequencing many representative genomes in all domains of life and several thousand organelle genomes, the differences in structure and DNA sequence of organelle genomes and prokaryotes as SET ancestor organisms has strained the validity of SET. Several prominent researchers have noted the problems of endosymbiosis as a model for the origin of eukaryote cells. For example, Kurland and Andersson, stated that it is not possible to identify the ancestral host of the endosymbiont for SET and that the current endosymbiotic theory (in 2000) needed to be modified (Kurland and Andersson 2000). Gabaldon and Huynen also noted that there is no extant eukaryote whose amitochondriate state can be considered ancestral (Gabaldon and Huynen 2004) and acknowledged the implications for SET if this situation remained unchanged. After examining the properties of mammalian mitochondria ribosomes, O’Brien observed that the unusual properties of these ribosomes raise questions about their relationship to other kinds of ribosomes (O’Brien 2002). Obviously none of these researchers are in the process of abandoning evolutionary thought, but all have made honest evaluations concerning the unresolved situation with the evolutionary origin of eukaryote cells. Not only has the identification of a representative ancestor remained unknown, but as more information has been collected on the structure of mitochondria in particular, the plausibility of evolutionary SET has become less tenable, and any possibility of SET in a creation context is impossible. At the center of this controversy is the structure and function of the eukaryote mitochondria ribosomes and their lack of similarity to a putative prokaryote ribosome ancestor. It should be acknowledged that in an evolutionary scenario more than 2 billion years has passed, which would allow for an incredible amount of divergence to take place in the resulting eukaryote organisms and the prokaryote ancestors (Adams and Palmer 2003; Gabaldon and Huynen 2004; Smits et al. 2007). However, for SET to be plausible there must be observable evidence connecting the descendents (mitochondria) to an ancestor (prokaryote) and a feasible mechanism to convert the existing structures from the ancestral state. Within mitochondria are ribosomes that were assumed to be similar to bacterial ribosomes in size and structure. The structure and composition of mitochondrial ribosomes (mitoribosomes) compared to prokaryote ribosomes is the focus of this paper, since it would take a book to cover all of the implications of SET based on the remaining evidence presented by Margulis and others. The importance of ribosomes to SET is easily understood by simply acknowledging that all biochemical pathways are affected by the structure, function, and activity of ribosomes. This is true of all prokaryote, eukaryote, and organelle systems. Changes in ribosome structure and function affect all cell functions dependent on the synthesis of proteins. Before the elucidation of ribosome structure, it was assumed that ribosomes came in two sizes, a smaller 70S ribosome found in prokaryotes and a larger 80S ribosome found in the cytosol of eukaryotes. It was expected that, based on SET, eukaryote mitochondrial ribosomes in general would be the smaller 70S ribosomes consistent with the notion that mitochondria descended from an aerobic prokaryote (O’Brien 2003). Recent advances in molecular biology techniques have identified the structural and functional components of ribosomes for many prokaryotes and eukaryotes, and the information from these studies is inconsistent specifically with an SET origin for eukaryote mitochondria ribosomes and for the origin of eukaryote cells from a prokaryote ancestor in general. There is a wide range of ribosome sizes depending on the organism and whether the ribosome is located in the cytosol, mitochondria, or chloroplasts of a eukaryote. It was also assumed specifically that vertebrates, including mammals, would have mitochondria ribosomes similar to the 70S ribosome in a prokaryote ancestor rather than their 80S cytosolic counterparts (Mears et al. 2006). All ribosomes are made of ribonucleic acid (RNA) and proteins. Escherichia coli, a typical prokaryote and model organism for ribosome structure and function, has 70S ribosomes typical of all prokaryotes (Cannone et al. 2002). Ribosomes and their RNA subunits are classified according to a sedimentation coefficient (S). Sedimentation coefficients are derived partly from the size of the molecules, protein and nucleic acid composition, and how dense or porous they are during centrifugation. Consequently, some characteristics of a ribosome can be derived by knowing the composition of the ribosome and its sedimentation coefficient. Ribosomes with similar structure and composition will have similar sedimentation coefficients while larger ribosomes will generally have larger sedimentation coefficients than smaller molecules. There are two subunits in the E. coli 70S ribosome: a 30S small subunit (ssu) composed of 1540 nucleotides of 16S ribosomal RNA (rRNA) and 21 proteins; and a 50S large subunit (lsu) composed of 23S and 5S rRNA (2800 nucleotides) and 31 proteins (Cannone et al. 2002; Garrett and Grisham 1999). The small (30S) and large (50S) subunits assemble to form a 70S ribosome during initiation of protein synthesis. Mammalian cytosolic ribosomes are larger than their prokaryote counterparts having a 40S small subunit made of 18S rRNA (1900 nucleotides) and 33 proteins, and a large subunit made of 28S and 5S rRNA (4700 nucleotides) and 49 proteins (Garrett and Grisham 1999). Mammalian mitochondrial ribosomes (mitoribosomes) have a lower sedimentation coefficient (55S) than the ribosomes of prokaryotes, but are actually larger and heavier indicating they have an internal structure distinctly different from prokaryote ribosomes. Human mitoribosomes, typical of mammals, have a 28S small subunit made of 12S RNA (954 nucleotides) and 33 proteins, and a 39S large subunit made of 16S RNA (1558 nucleotides) and 48 proteins (Anderson et al. 1981; O’Brien 1971; Smits et al. 2007). The mammalian mitoribosomes have just 2/3 as much RNA as prokaryotes and 60% more protein than prokaryotes. Prokaryote ribosomes are 2/3 RNA and 1/3 protein by weight while the reverse is true of mammalian mitoribosomes, which are 2/3 protein and 1/3 RNA (Matthews et al. 1982). Mammalian mitoribosomes have a larger mass than prokaryote 70S ribosomes mostly due to their larger proteins. The bovine (Bos taurus) mitoribosome, also typical of mammals, has a mass of 2.64 × 106 Daltons (Da) determined from the mitochondrial ribosomal RNA and protein content (Matthews et al. 1982). This is larger than the mass (2.49 × 106 Da) of E. coli 70S ribosomes (Patel, Cunningham, and Hantgan 2001). The size of the bovine mitoribosome is also 24% larger than prokaryote 70S ribosomes when analyzed by electron microscopy (Patel, Cunningham, and Hantgan 2001). The differences in protein and RNA content, and sedimentation coefficients between prokaryote ribosomes and eukaryote mitoribosomes are not trivial, and they are a clue that major structural differences exist between each kind of ribosome. Because of the differences in RNA and protein content, it is assumed, according to SET, that eukaryote mitochondria ancestors lost some of their mitochondria ribosomal RNA and replaced it with novel proteins, bi-functional exapted proteins, or N- and C-terminal extensions of existing proteins (O’Brien 2002; Smits et al. 2007). The function of all ribosomes is essentially identical, and it should not be surprising that there are “conserved” (used here to denote similar RNA and amino acid sequence and structure) regions of ribosomes in the different domains of life. All ribosomes whether in a prokaryote, the eukaryote cytosol, the mitochondrial matrix, or the chloroplast stroma are the site of translation of the DNA code and protein synthesis. Initiation of protein synthesis, in prokaryotes, occurs when translation initiation sequences on messenger RNA (mRNA) bind complementary sequences along the rRNA of the small subunit. An initiation complex forms when initiation factors, the small subunit, mRNA, and the large subunit assemble. The peptidyl site (P-site), located on both small and large subunits, is initially occupied by a modified methionine on tRNA. (The modification is dependent on what kind of ribosome is involved). Elongation of the polypeptide chain begins as a cognate tRNA recognizes the correct codon on mRNA, occupies the aminoacyl site (A-site, comprised of rRNA from both subunits) and forms a peptide bond with the polypeptide chain attached to tRNA in the P-site. The uncharged peptidyl tRNA is released as the A-site tRNA is bound to the polypeptide chain and translocates to the vacant P-site with the assistance of an elongation factor and the expenditure of energy from the hydrolysis of guanosine triphosphate (GTP). These steps are repeated until the polypeptide is formed and translation terminates when the ribosome reaches a stop codon on mRNA (Garrett and Grisham 1999). Because translation is basically the same process in all cell-types, mitochondria, and chloroplasts, it should not be surprising there is a degree of homology in the regions directly involved with the process of forming a nascent polypeptide (Mears et al. 2006). What is surprising is the degree of divergence between the rest of the ribosome in different cells and organelles. A brief comparison of the gross structure of prokaryote ribosomes and eukaryote mitochondria ribosomes does not confirm the “RNA replacement theory” of SET, but shows distinct kinds of ribosomes in prokaryotes and mitochondria. Cryo-electron microscopy (cryo-em) of bovine (Bos taurus) mitoribosomes identified distinctly different structures for bovine mitoribosomes compared to prokaryote or eukaryote cytosolic ribosomes (Mears et al. 2002; Sharma et al. 2003). Cryo-em provided evidence that the additional and enlarged proteins in mammalian mitoribosomes do not compensate for the missing RNA segments, but occupy different positions in the subunits of mitoribosomes (Sharma et al. 2003). Sharma et al. gave many examples of the “divergent” structure of mitoribosomes and the following is a summary of some of the more important points of their data. The small and large ribosome subunits are joined by “bridges” during translation initiation and the structure and placement of these bridges are quite different in mammalian mitoribosomes compared to prokaryote ribosomes. Prokaryote 70S ribosomes have nine intersubunit bridges connecting the two ribosome subunits during translation (Yusupov et al. 2001; Wimberly et al. 2000). The 55S mitoribosome is held together by 15 intersubunit bridges with only six of these bridges similar to those found in prokaryotes (Sharma et al. 2003). The nine intersubunit bridges in mitoribosomes, not found in prokaryotes, are dominated by protein-protein interactions while prokaryote ribosomes have RNARNA bridges (Sharma et al. 2003). While it is true that proteins are responsible for most of the bridge network in mitoribosomes instead of the RNA bridges in prokaryote ribosomes, it is crucial to recognize that the RNA bridges in prokaryote ribosomes are not replaced with protein bridges in mitoribosomes. The protein bridges in mitoribosomes are distinct from any of the bridges identified in prokaryotes and there are no prokaryote homologues for the nine “new” bridges in mitoribosomes. Proteins do comprise a larger portion of the mitoribosome than the prokaryote ribosome. Are these proteins actually compensating for the lesser amount of RNA in mitoribosomes or are they in novel positions with functions distinctly different from prokaryotes? The bridge structure discussed above shows that many of the additional proteins have different positions in the mitoribosome than those in the prokaryote ribosome. This is true of many of the other proteins in the mitoribosome as well. There are 33 proteins (out of 81 identified so far) in human mitoribosomes that do not have homologues in prokaryote ribosomes (Smits et al. 2007). One of the most distinctive differences in the mitoribosome protein structure is the location of many of these proteins on the superficial portion of the ribosome (Sharma et al. 2003). In prokaryotes, proteins are located sporadically in patches on the outside of the ribosome (Carter et al. 2000; Sharma et al. 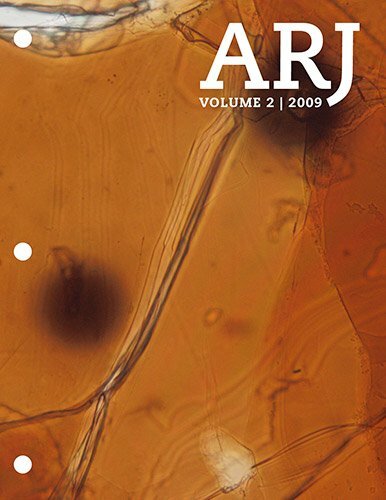 2003; Wimberly et al. 2000). Not only are the proteins in different positions, but cryo-em structures indicate that only ~20% of the RNA components missing in mitoribosomes (compared to prokaryote ribosomes) are replaced by mitoribosome specific proteins (Mears et al. 2006). Among the proteins that are homologous in ribosome position in both prokaryote ribosomes and mitoribosomes a general increase in size in the mitoribosomes is observed. This is due to the addition of N- and C-terminal extensions to assumed homologous proteins. It is not feasible to discuss all 48 homologous proteins individually for the purposes of this paper, but a discussion of the prokaryote small subunit protein S15 will provide a typical example of the significant differences between “homologous” prokaryote and mitoribosome proteins and explain the importance for some degree of homology. Mammalian mitoribosomal protein S15 is 2.4 times more massive than its homologous counterpart in E. coli. This size difference is attributable to the N- and C-terminal extensions on the mitoribosome S15 protein (Suzuki et al. 2001a). The S15 proteins in both prokaryotes and mitoribosomes bind to the 16S RNA and 12S RNA, respectively, along the double-stranded helix 34 (E. coli numbering) (Suzuki et al. 2001a; Carter et al. 2000). S15 has four α-helices enabling it to bind to the helix of double-stranded RNA in both prokaryote ribosomes and mitoribosomes in an area involved with the translocation of the growing polypeptide from the A-site to the P-site (Brink et al. 1994; Carter et al. 2000; Suzuki et al. 2001a). It should not be surprising then that the amino acid sequence of the S15 α-helices in both ribosome types share 36–38% homology among several prokaryotes (including R. prowazekii and E. coli) compared to mammalian mitoribosomes (Suzuki et al. 2001a). Prokaryotes have no homologous sequences to the N- and Cterminal extensions in mitoribosome S15 protein and blast searches for paralogous DNA sequences have not been found in the human genome indicating that S15 N- and C-terminal extensions are novel and did not originate from pre-existing sequences within the human genome (Suzuki et al. 2001a). This also appears to be true of the N- and C-terminal extensions for the other mitoribosome proteins that are identified as “homologous” to prokaryote ribosomal proteins. This is important to note because the N- and C-terminal extensions would have to originate from newly created DNA sequences, not from existing DNA (such as pseudogenes, duplicated genes, or untranslated regions) that could be recruited to replace “lost” RNA. Because of the different RNA and protein composition, and the distinctly different arrangement of RNA and protein in mitoribosomes compared to prokaryote ribosomes, it should not be surprising to find major differences in the specifics of the two translation systems. Mitoribosomes lack the ability to recognize Shine-Delgarno sequences on mRNA, which are necessary for translation initiation in prokaryote ribosomes, but obviously not for mitoribosomes (Sharma et al. 2003). Mammalian mitoribosomes also have an intrinsic GTP binding site in the protein of the small subunit, which is unique among all known translational systems (Denslow, Anders, and O’Brien 1991; O’Brien 2002) and quite different from the GTP binding site located on elongation factor G in prokaryotes (Bilgin et al. 1990; Carter et al. 2000). The unique features in mitoribosome structure and composition make it possible for mitoribosomes to process their unique mRNAs. Mitochondria mRNA lack modifications to the 5' and 3' ends found in cytosolic eukaryote mRNA or prokaryote mRNA, and have a start codon within three nucleotides of the 5' end, all unique features among mRNAs and translation systems (Anderson et al. 1982; Sharma et al. 2003). Sequence comparisons between prokaryote and mitoribosome RNA genes (rDNA) or the rRNA sequences in the small or large subunits are difficult due to a lack of sequence homology. The sequence differences are so significant, that alignment programs available at the National Center for Biotechnology Information (NCBI) will not align these sequences partly due to the difference in length (for example, prokaryote E.coli ssu RNA is 1540 nucleotides; human mitoribosome ssu RNA is 954 nucleotides) and partly due to the different frequencies of rRNA nucleotides. An alignment can be forced manually using a program like ClustalX, but these alignments, which are highly subjective, show less than 40% homology between the two types of small subunit RNA with long stretches of gaps resulting in insignificant alignment scores. A comparison of nucleotide frequencies reveals several striking deviations. Guanine is the most frequently occurring nucleotide (30%) in prokaryote ribosomal RNA (rRNA), but is less than 18% of the nucleotides in bovine mitochondria rRNA (Mears et al. 2006). Conversely adenine is found at only 25% of the sites in prokaryote rRNA, but 38% of bovine mitochondria rRNA sites (Mears et al. 2006). Although there are several stem loops with nucleotide paring in the secondary structure of rRNA (Carter et al. 2000; Wimberly et al. 2000) it should be noted that much of the rRNA in ribosomes is not based-paired making the frequency of individual nucleotides far more important to the secondary structure and function in rRNA than the frequency of nucleotides in a double-stranded nucleic acid such as DNA. The overwhelming evidence for the unique mitoribosome structure and function compared to prokaryote ribosome structure and function is compelling evidence that mitoribosomes are distinctly different from prokaryote ribosomes and do not share a common prokaryote ancestor. The structure of ribosomes in organelles, prokaryotes, and the eukaryote cytosol are so different that they are easily distinguishable from each other. This uniqueness even extends into the different domains of life where archea and bacteria ribosomes are distinctly different, having no “gray areas” of confusion between the identity of each type of ribosome (Roberts et al. 2008). It certainly could be argued that 2 billion years of evolution have created the vast differences between extant prokaryote ribosomes and their, now apparent, distant “relatives” the vertebrate mitoribosome. What mechanisms would promote or even permit the conversion of a prokaryote-type ribosome into the distinctly different mitoribosome? Was it an accumulation of nearly neutral mutations in the DNA coding for the ribosomal components and translation machinery proteins resulting in a transition to an entirely different ribosome? Or was it strong environmental pressures that encouraged selection of DNA, RNA, and protein alterations that facilitated the conversion of prokaryote-type ribosomes into mitoribosomes? It is well-documented that mitoribosomes and prokaryote ribosomes are not under the classical definition of the neutral model of the theory of evolution (Hasegawa, Cao, and Yang 1998; Rand 2008). The simplest reason for this omission is the high nonsynonymous/synonymous substitution rates within species and between species, a condition not compatible with the neutral theory. Only a discussion of mutation and natural selection will be considered, since there is much evidence that mitoribosomes, especially, are under strong selective forces. The fast generation times and high mutation rates in prokaryotes permits limited genetic alteration enabling adaptations to changing microbial environmental conditions. These alterations are limited by the cost to the metabolic machinery of affected organisms and are eliminated from the population when environmental conditions return, favoring the pre-mutation phenotype (Criswell et al. 2006). 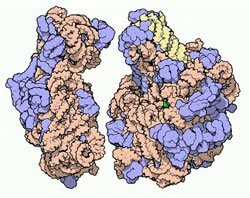 Mutations in ribosomal RNA and proteins conferring antibiotic resistance have provided an excellent model for the limitations of genetic variation in many prokaryotes, and an understanding of a few of these mechanisms will clarify the limitations of ribosome change in extant prokaryote translation systems. There are numerous papers documenting the fitness cost to prokaryotes and other microbes that accumulate mutations in ribosomal RNA and proteins conferring resistance to specific antibiotics. (See Criswell et al. 2006 for many of these references.) However, more importantly is the effect these mutations have on ribosome function and the plausibility that mutation is a possible mechanism for the conversion of a prokaryote ribosome into a distinctly different mitoribosome. Many E. coli mutations conferring antibiotic resistance (and a host of other bacteria) have been documented and the mechanisms of resistance wellstudied. One antibiotic resistant mutation that is well understood is a DNA mutation that changes the base paring in helix 34 of the ribosomal 16S RNA conferring resistance to the antibiotic spectinomycin (Brink et al. 1994). A C1192G mutation in helix 34 and its base paired partner G1064C provide low levels of resistance to spectinomycin, but more importantly, result in a five-fold decrease in growth rates (Brink et al. 1994). Chloramphenicol acetyl transferase (CAT) activity in E. coli carrying this double-mutant was only 20% of normal levels (non-mutant or wild-type), verifying the cost to the metabolic machinery of this mutation (Brink et al. 1994). The reduced levels of CAT activity resulted from the reduced ability of the E. coli to assemble 70S ribosomes from the small subunits carrying the double mutant (Brink et al. 1994). Mutants not in the presence of spectinomycin would be (and are) quickly eliminated by their inability to compete with strains carrying the more effective RNA sequences and returning the population back to the more efficient metabolic mechanisms carried in their DNA. Although this is only one example of the consequences of altering the prokaryote ribosome, it is typical of the mutations that are documented conferring resistance to antibiotics. Mutations cause major shifts in ribosome secondary structure and have pronounced consequences that are magnified throughout the cell as all metabolic activities are affected by the fidelity of protein synthesis performed by ribosomes (Allen and Noller 1989). Competition between different kinds of ribosomes has also been observed in E. coli confirming that aberrant ribosomes are unlikely to be incorporated into the metabolic machinery when wild-type or cellspecific ribosomes are present. E. coli, transformed with a plasmid carrying Salmonella enterica specific spectinomycin resistant 16S ribosomal genes, was unable to acquire resistance to spectinomycin (O’Connor and Dahlberg 2002). Although the genes for Salmonella ribosomes are 97% identical in DNA sequence to E. coli ribosomes (Krawiec and Riley 1990), it is likely that the small subunits from the Salmonella 16S RNA gene were unable to compete with the E. coli ribosomal proteins and translation factors for ribosomal assembly (O’Connor and Dahlberg 2002). The inability of E. coli to assemble ribosomes with the “foreign” 16S RNA component is evidence that major changes in the prokaryote genome are not incorporated into the biochemistry of the organism or its genetic material. This is an indication that structures capable of providing a temporary advantage to the cell require a host of simultaneous changes in the cell machinery to utilize aberrant components resulting from sudden multiple changes to designed components. For SET to be feasible, it is necessary to identify the observable mechanisms that would convert prokaryote ribosomes into the characteristic mitoribosomes observed today in prokaryote or protista (R. americana) systems. With the small mitochondrial genome found in R. americana and the 400 million years of stasis (according to evolution) observed in the vertebrate mitochondrial genome, there is no observable evidence that any part of SET took place after the divergence of vertebrates. Can selection change a ribosome? The primary assumed mechanism for evolution is mutation and natural selection. The evidence above demonstrates that selection does occur among prokaryotes that acquire mutations in ribosomes resistant to antibiotics. Selection has also been documented in the population of mitoribosomes in the germ-line of mammals. But can natural selection really choose mutations that enable an organism to make significant permanent changes to its genome, biochemistry, and consequently phenotype that are beneficial to a proposed different environment? A team of scientists when they worked at the Institute for Creation Research developed a computer simulation program testing the hypothesis that natural selection could use mutations to fix beneficial changes in the genome while eliminating deleterious mutations and consequently evolving an organism into a new form or kind (Sanford et al. 2008). The results of their simulations with human and yeast genomes demonstrated that selection could remove very few deleterious mutations while selecting for beneficial mutations. A summary of their population simulations revealed the following principles: 1) Deleterious mutations continue to accumulate over time. 2) Selection was unable to separate deleterious mutations from beneficial mutations. Both types of mutations are inherited together. 3) The net effect of mutation is always negative. 4) Because the overall effect is always negative, fitness always declines with time. This results in an increase in genetic entropy or loss of information leading to extinction and not new kinds of organisms or biological systems. The results of the Sanford et al. work is confirmed by the experimental evidence of antibiotic resistant organisms that lose fitness as mutations accumulate. The proposed “road” to a mitoribosome from a prokaryote ribosome ancestor contradicts the observable and experimental evidence indicating stasis among these important biological machines. Mitoribosomes are distinctly different from prokaryote ribosomes in structure and in the specifics of translation and protein synthesis. Mitoribosome structure is distinctly different from prokaryote ribosomes, evidenced by a larger mass and size but smaller sedimentation coefficient. Mitoribosomes differ from prokaryote ribosomes in RNA and protein content, position and function of ribosomal RNA and proteins, and are significantly different in sequence, especially in regions that do not contact the tRNA or the growing polypeptide chain. Mitoribosomes have many features unique to a mitochondrial translation system, including novel mRNAs, modifications in mitoribosomes to process mitochondrial mRNA, and a novel GTP binding site during polypeptide elongation. A feasible scenario to convert prokaryote ribosomes to mitoribosomes is not forthcoming. Mutations, in both prokaryote ribosomes and eukaryote organisms (humans), have demonstrated that mutation and natural selection are not capable of producing new biological systems or organisms. Mutations lead to reduced fitness and extinction in biological systems. A high nonsynonymous/synonymous substitution rate in the mitochondrial genomes within species and between species is evidence that the neutral theory of evolution is not applicable to these systems. The lack of an observable, feasible amitochondriate ancestor and the lack of transitional ribosomes and translation systems have led many researchers to question the current Serial Endosymbiosis Theory and to suggest modifications to the theory. The comparison of ribosomes and translational systems in this paper provides evidence that the Serial Endosymbiosis Theory is not feasible given the current data available for review. Adams, K. L., Ong, H. C., and J. D. Palmer. 2001. Mitochondrial gene transfer in pieces: fission of the ribosomal protein gene rpl2 and partial or complete gene transfer to the nucleus. Molecular Biology and Evolution 18, no. 12:2289–2297. Adams, K. L., and J. D. Palmer. 2003. Evolution of mitochondrial gene content: gene loss and transfer to the nucleus. Molecular Phylogenetic and Evolution 29, no. 3:380–395. Allen, P. N., and H. F. Noller. 1989. Mutations in ribosomal proteins S4 and S12 influence the higher order structure of 16 S ribosomal RNA. Journal of Molecular Biology 208, no. 3:457–468. Anderson, S., A. T. Bankier, B. G. Barrell, M. H. de Bruijn, A. R. Coulson, J. Drouin, I. C. Eperon, D. P. Nierlich, B. A. Roe, F. Sanger, P. H. Schreier, A. J. Smith, R. Staden, and I. G. Young. 1981. Sequence and organization of the human mitochondrial genome. Nature 290, no. 5806:457–465. Anderson, S., M. H. de Bruijn, A. R. Coulson, I. C. Eperon, F. Sanger, and I. G. Young. 1982. Complete sequence of bovine mitochondrial DNA. Conserved features of the mammalian mitochondrial genome. Journal of Molecular Biology 156, no. 4:683–717. Andersson, S. G., A. Zomorodipour, J. O. Andersson, T. Sicheritz-Ponten, U. C. Alsmark, R. M. Podowski, A. K. Naslund, A. S. Eriksson, H. H. Winkler, and C. G. Kurland. 1998. The genome sequence of Rickettsia prowazekii and the origin of mitochondria. Nature 396, no. 6707:133–140. Bilgin, N., A. A. Richter, M. Ehrenberg, A. E. Dahlberg, and C. G. Kurland. 1990. Ribosomal RNA and protein mutants resistant to spectinomycin. The EMBO Journal 9, no. 3:735–739. Brink, M. F., G. Brink, M. P. Verbeet, and H. A. de Boer. 1994. Spectinomycin interacts specifically with the residues G1064 and C1192 in 16S rRNA, thereby potentially freezing this molecule into an inactive conformation. Nucleic Acids Research 22, no. 3:325–331. Campbell, N. A. and J. B. Reece. 2005. Biology, 7th ed. San Francisco: Benjamin Cummings. Cannone, J. J., S. Subramanian, M. N. Schnare, J. R. Collett, L. M. D’Souza, Y. Du, B. Feng, N. Lin, L. V. Madabusi, K. M. Muller, N. Pande, Z. Shang, N. Yu, and R. R. Gutell. 2002. The comparative RNA web (CRW) site: An online database of comparative sequence and structure information for ribosomal, intron, and other RNAs. BMC Bioinformatics 3:2. Carter, A. P., W. M. Clemons, D. E. Brodersen, R. J. Morgan- Warren, B. T. Wimberly, and V. Ramakrishnan. 2000. Functional insights from the structure of the 30S ribosomal subunit and its interactions with antibiotics. Nature 407, no. 6802:340–348. Chacinska, A., and P. Rehling. 2004. Moving proteins from the cytosol into mitochondria. Biochemical Society Transactions 32, no. 5:774–776. Covello, P. S., and M. W. Gray. 1992. Silent mitochondrial and active nuclear genes for subunit 2 of cytochrome c oxidase (cox2) in soybean: evidence for RNA-mediated gene transfer. The EMBO Journal 11, no. 11:3815–3820. Criswell, D., V. L. Tobiason, J. S. Lodmell, and D. S. Samuels. 2006. Mutations conferring aminoglycoside and spectinomycin resistance in Borrelia burgdorferi. Antimicrobial Agents and Chemotherapy 50, no. 2: 445–452. Denslow, N. D., J. C. Anders, and T. W. O’Brien. 1991. Bovine mitochondrial ribosomes possess a high affinity binding site for guanine nucleotides. Journal of Biological Chemistry 266, no. 15:9586–9590. Dickerson, R. E. 1980. Evolution and gene transfer in purple photosynthetic bacteria. Nature 283, no. 5743:210–212. Gabaldon, T. and M. A. Huynen. 2004. Shaping the mitochondrial proteome. Biochimica et Biophysica Acta 1659, no. 2–3:212–220. Garrett, R. H. and C. M. Grisham. 1999. Biochemistry, 2nd ed. Orlando: Harcourt Brace. Gray, M. W., G. Burger, and B. F. Lang. 1999. Mitochondrial evolution. Science 283, no. 5407:1476–1481. Gray, M. W., B. F. Lang, R. Cedergren, G. B. Golding, C. Lemieux, D. Sankoff, M. Turmel, N. Brossard, E. Delage, T. G. Littlejohn, I. Plante, P. Rioux, D. Saint-Louis, Y. Zhu, and G. Burger. 1998. Genome structure and gene content in protist mitochondrial DNAs. Nucleic Acids Research 26, no. 4:865–878. Hasegawa, M., Y. Cao, and Z. Yang. 1998. Preponderance of slightly deleterious polymorphism in mitochondrial DNA: nonsynonymous/synonymous rate ratio is much higher within species than between species. Molecular Biology and Evolution 15, no. 11:1499–1505. Krawiec, S., and M. Riley. 1990. Organization of the bacterial chromosome. Microbiological Reviews 54, no. 4:502–539. Kurland, C. G., and S. G. Andersson. 2000. Origin and evolution of the mitochondrial proteome. Microbiology and Molecular Biology Reviews 64, no. 4:786–820. Macey, J. R., A. Larson, N. B. Ananjeva, Z. Fang, and T. J. Papenfuss. 1997. Two novel gene orders and the role of light-strand replication in rearrangement of the vertebrate mitochondrial genome. Molecular Biology and Evolution 14, no. 1:91–104. Margulis, L. 1970. Origin of eukaryotic cells. New Haven: Yale University Press. Margulis, L. 1993. Symbiosis in cell evolution, 2nd ed. New York: W. H. Freeman. Matthews, D. E., R. A. Hessler, N. D. Denslow, J. S. Edwards, and T. W. O’Brien. 1982. Protein composition of the bovine mitochondrial ribosome. Journal of Biological Chemistry 257, no. 15:8788–8794. Mears, J. A., J. J. Cannone, S. M. Stagg, R. R. Gutell, R. K. Agrawal, and S. C. Harvey. 2002. Modeling a minimal ribosome based on comparative sequence analysis. Journal of Molecular Biology 321, no. 2:215–234. Mears, J. A., M. R. Sharma, R. R. Gutell, A. S. McCook, P. E. Richardson, T. R. Caulfield, R. K. Agrawal, and S. C. Harvey. 2006. A structural model for the large subunit of the mammalian mitochondrial ribosome. Journal of Molecular Biology 358, no. 1:193–212. Mindell, D. P., M. D. Sorenson, and D. E. Dimcheff. 1998. Multiple independent origins of mitochondrial gene order in birds. Proceedings of the National Academy of Sciences USA 95, no. 18:10693–10697. O’Brien, T. W. 1971. The general occurrence of 55 S ribosomes in mammalian liver mitochondria. Journal of Biological Chemistry 246, no. 10:3409–3417. O’Brien, T. W. 2002. Evolution of a protein-rich mitochondrial ribosome: implications for human genetic disease. Gene 286, no. 1:73–79. O’Brien, T. W. 2003. Properties of human mitochondrial ribosomes. IUBMB Life 55, no. 9:505–513. O’Connor, M., and A. E. Dahlberg. 2002. Isolation of spectinomycin resistance mutations in the 16S rRNA of Salmonella enterica serovar Typhimurium and expression in Escherichia coli and Salmonella. Current Microbiology 45, no. 6:0429–0433. Patel, V. B., C. C. Cunningham, and R. R. Hantgan. 2001. Physiochemical properties of rat liver mitochondrial ribosomes. Journal of Biological Chemistry 276, no. 9: 6739–6746. Rand, D. M. 2008. Mitigating mutational meltdown in mammalian mitochondria. PLoS Biology 6, no. 2:e35. Roberts, E., A. Sethi, J. Montoya, C. R. Woese, and Z. Luthey- Schulten. 2008. Molecular signatures of ribosomal evolution. Proceedings of the National Academy of Sciences USA 105, no. 37:13953–13958. Sanford, J., J. Baumgardner, W. Brewer, P. Gibson, and W. Remine. 2008. Using numerical simulation to test the validity of neo-Darwinian theory. In Proceedings of the Sixth International Conference on Creationism, ed. A. A. Snelling, pp. 165–175. 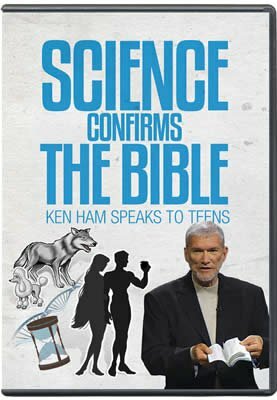 Pittsburgh, Pennsylvania: Creation Science Fellowship and Dallas, Texas: Institute for Creation Research. Sharma, M. R., E. C. Koc, P. P. Datta, T. M. Booth, L. L. Spremulli, and R. K. Agrawal. 2003. Structure of the mammalian mitochondrial ribosome reveals an expanded functional role for its component proteins. Cell 115, no. 1: 97–108. Smits, P., J. A. Smeitink, L. P. van den Heuvel, M. A. Huynen, and T. J. Ettema. 2007. Reconstructing the evolution of the mitochondrial ribosomal proteome. Nucleic Acids Research 35, no. 14:4686–4703. Suzuki, T., M. Terasaki, C. Takemoto-Hori, T. Hanada, T. Ueda, A. Wada, and K. Watanabe. 2001a. Proteomic analysis of the mammalian mitochondrial ribosome. Identification of protein components in the 28 S small subunit. Journal of Biological Chemistry 276, no. 35:33181–33195. Suzuki, T., M. Terasaki, C. Takemoto-Hori, T. Hanada, T. Ueda, A. Wada, and K. Watanabe. 2001b. Structural compensation for the deficit of rRNA with proteins in the mammalian mitochondrial ribosome. Systematic analysis of protein components of the large ribosomal subunit from mammalian mitochondria. Journal of Biological Chemistry 276, no. 24:21724–21736. Wimberly, B. T., D. E. Brodersen, W. M. Clemons, Jr., R. J. Morgan-Warren, A. P. Carter, C. Vonrhein, T. Hartsch, and V. Ramakrishnan. 2000. Structure of the 30S ribosomal subunit. Nature 407, no. 6802:327–339. Yang, D., Y. Oyaizu, H. Oyaizu, G. J. Olsen, and C. R. Woese. 1985. Mitochondrial origins. Proceeding of the National Academy of Sciences USA 82, no. 13:4443–4447. Yusupov, M. M., G. Z. Yusupova, A. Baucom, K. Lieberman, T. N. Earnest, J. H. Cate, and H. F. Noller. 2001. Crystal structure of the ribosome at 5.5 A resolution. Science 292, no. 5518:883–896. Zablen, L. B., M. S. Kissil, C. R. Woese, and D. E. Buetow. 1975. Phylogenetic origin of the chloroplast and prokaryotic nature of its ribosomal RNA. Proceedings of the National Academy of Sciences 72, no. 6:2418–2422.